With the recent devistation, Panama City Beach homeowners and investors are looking for resources for repairs and flood cleanup. Besides homeowners insurance, there are a few other means of help that property owners in Panama City Beach and other affected areas can access for assistance. 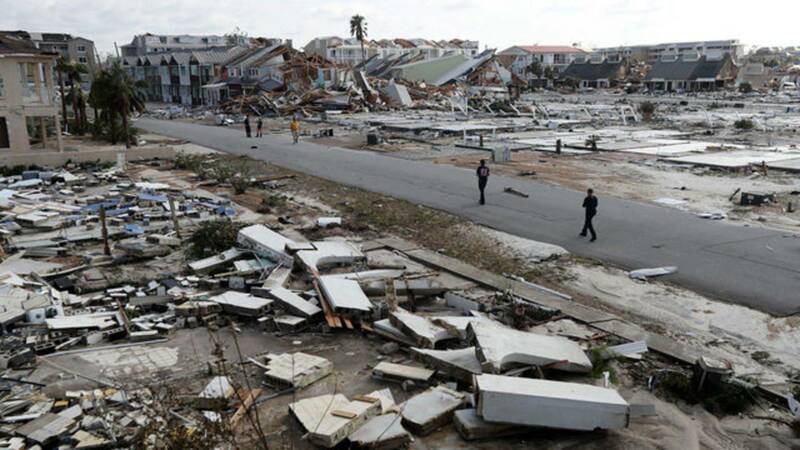 This post covers many of the first steps Panama City Beach property owners should make in the aftermath of Hurricane Michael. It also includes resources for home and business owners investing in real estate. If your Panama City Beach home has had water intrusion, preventing mold growth is a crucial part of storm clean-up. The Federal Emergency Management Agency says that mold begins to grow within 24 to 48 hours following water exposure. Needless to say, there are many levels of “water intrusion” after a storm such as Michael; from a small leak in a skylight to fully home flooding. If you have seen any signs of water entering the home, stopping the water flow is the first step. If it is a small leak such as a window or skylight, you will want to mitigate the water damage as soon as possible. Depending on the type of water intrusion, you may not be fully aware of where the water came in. After small rains, pay close attention for new signs of water. Documentation of damage and any mitigation completed will be a critical step in your insurance process. You will want to create and implement a documentation strategy. While separating items into waterlogged and dry piles, taking photos and videos of the damage is an excellent way to show proof when filing claims. Another tip from emergency preparedness firms is to keep all receipts from the cleanup in one file so that it is handy when you begin filling out paperwork. First and foremost, temporary housing and medical care are top priorities. In addition to the Federal Government, there are many options for support for property owners. Once an area has been designated as a federal disaster area, FEMA works with the American Red Cross, The Emergency Food Assistance Program (TEFAP) and other community agencies to provide the necessities after a significant event. Property owners can access applications to file for low-interest SBA loans, farmers aid, grants, and business funding at local disaster centers. Quicken Loans says that homeowners and business owners can get help paying for machinery, personal houses, and business property after a disaster. One of your first phone calls, when cell service is back up, should be to your insurance company to speak to an agent. He or she should send someone to the property to assess the damage. With an influx of calls after a natural disaster of the scale of Hurricane Michael, it is likely that this process could take some time. The sooner one reaches the agency, the sooner the company can put your name on the list. The Panama City Beach government site has a link to hurricane updates including a place to enter the house address to see which zone it sits. To find out which counties are in areas of disaster declaration, the U.S. Small Business Administration lists primary and contingent counties. Knowing this information can help property owners find out what resources he or she can file for when owning property in the community. Claims filing is often faster when accessing a specialist directly. FEMA tends to set up assistance signup areas in public venues like educational and government buildings. Property owners can also call the Bay County Emergency Management Office at 850-784-4030 for information on accessing funding for repairs. With 80 percent of the beachfront as Panama City Beach Condos or business properties, the Panama City Beach area will likely see many storm damage claims. Accessing resources and quickly sorting out the mess are the best ways to get back on track after the hurricane. It is common that after a storm of this magnitude, we see a lot of real estate transactions. 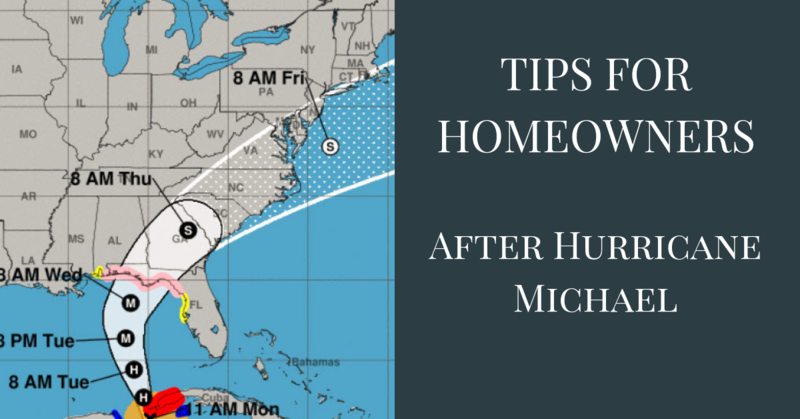 Many Panama City Beach Realtors may not be familiar with the intracasies of representing buyers and sellers of homes or condos that have been damaged by a hurricane. Whether you are looking at buying property after the storm as an investment or thinking of selling your Panama City Beach home, you need to speak with a real estate agent that understands the in's and out's of how insurance payments, secondary SBA loans and other things can affect the sale.